Product Description:No matter how dark your cabin or home, these gallery night lights make finding your way a beautiful journey. The enclosed-back panel swivels on a rotary base to fit vertical or horizontal outlets for greater flexibility. 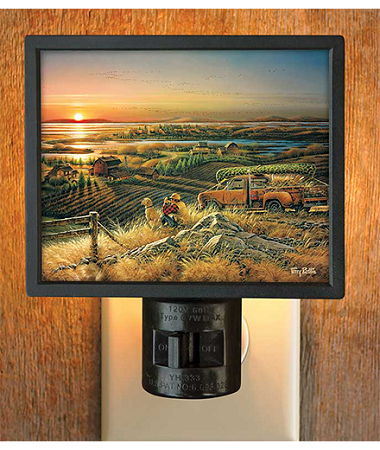 No matter how dark your cabin or home, these gallery night lights make finding your way a beautiful journey. The 4" x 3" enclosed-back panel swivels on a rotary base to fit vertical or horizontal outlets for greater flexibility. Night lights are UL approved.